Sign comes with 152 additional magnetic numbers and 6 magnetic product identification strips. 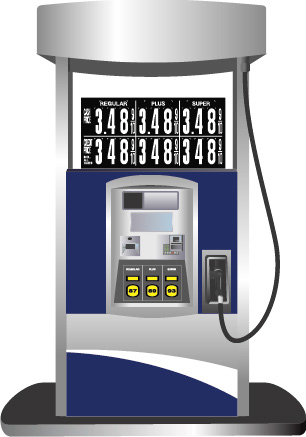 Our PTH line is the most durable and long lasting pump topper price sign of all our models. It has many new features such as an extruded middle section which acts as a wind channel allowing air to pass through without resistance against the sign. New wider base creates a lower center of gravity, keeping the sign firmly in place on top of the pump. Its heavy duty one-piece construction makes it extremely durable and sturdy. All our signs are powder-coated with an industrial baked enamel and an aluminum base to prevent rust or corrosion. 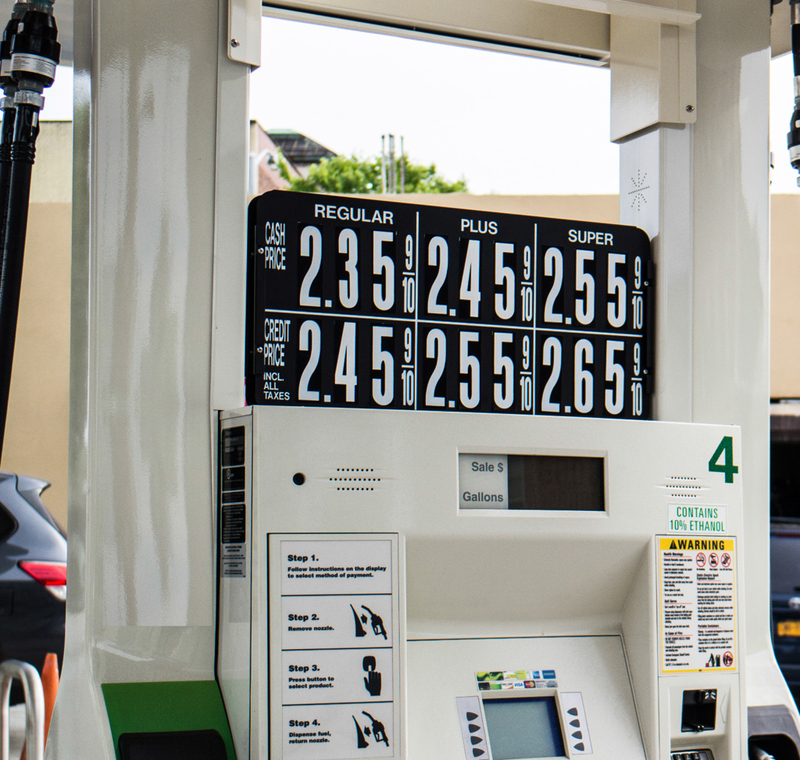 Signs are affixed to the top of the pump with our industrial strength foam adhesive. This is a dual pricing sign. Cash Price as well as Credit Price for each product can be displayed with this sign and still meet Weights & Measures’ requirements. Sign can also be used to display regular price and sale price. Sign is preprinted with 2.48 in all positions for ease of use. Extra numbers are put directly over the preprinted ones. Preprinted guidelines for easy alignment of numbers. Product identification is displayed with a removable magnetic strip. Each magnetic number measures 1.5"w x 4.75"h.